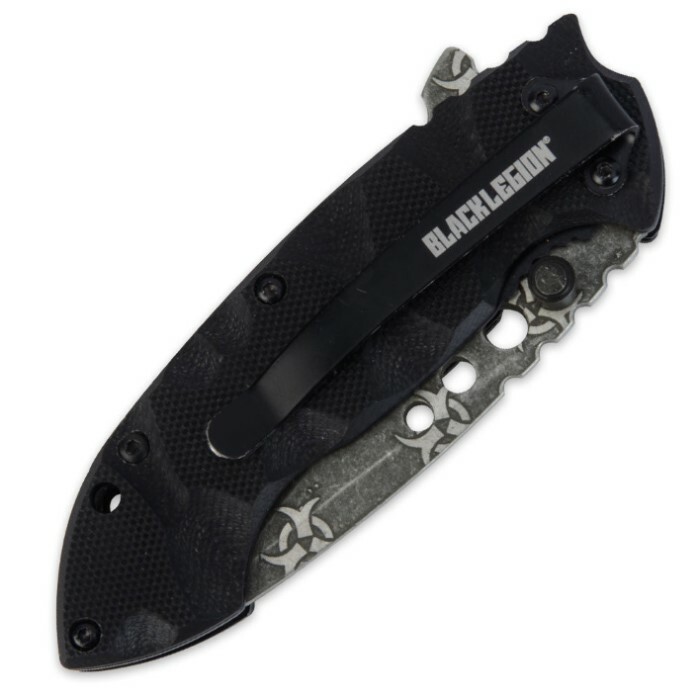 Black Legion Undead Atomic Biohazard Folding Pocket Knife Black | BUDK.com - Knives & Swords At The Lowest Prices! 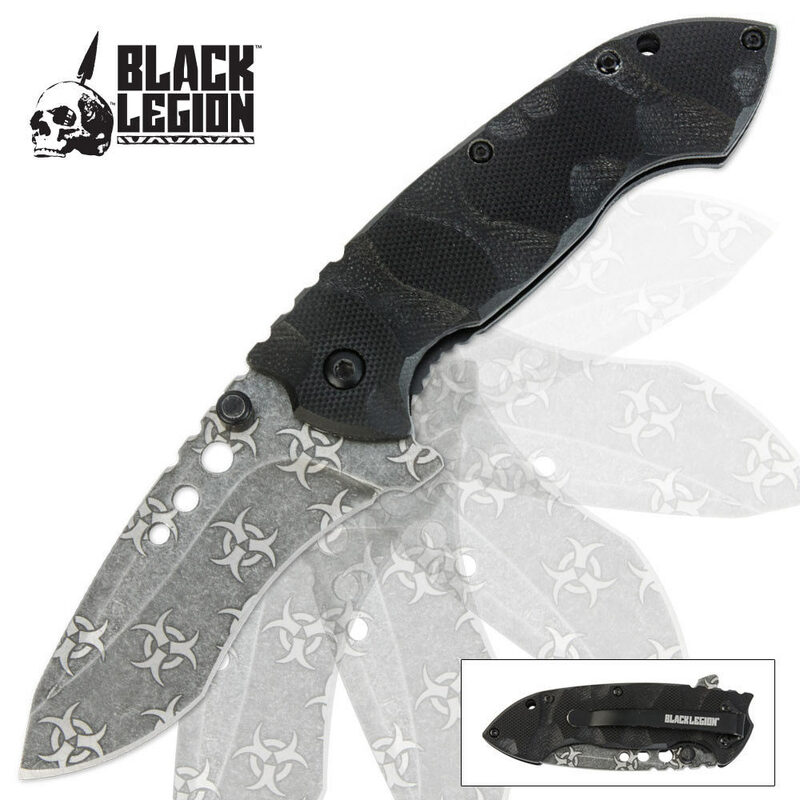 Black Legion unleashes another must-have folding pocket knife in this Undead Atomic Biohazard pocket knife. 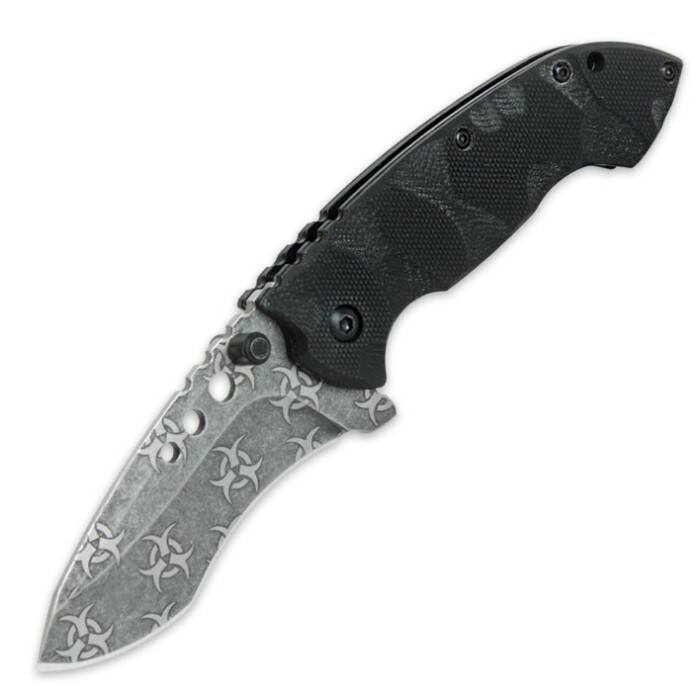 This edgy design features a 420A stainless steel modified drop point blade powered by a fast assisted-opening mechanism. Engage the thumb stud or blade spur to access the blade using only one hand. The textured G-10 handle provides a secure, slip-free grip. Clip it to your pocket with the pocket clip.